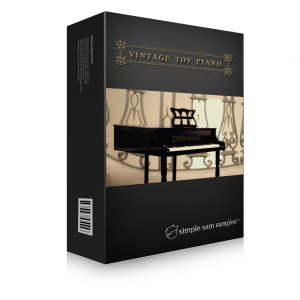 Vintage Toy Piano is a charmingly beautiful, classic toy piano. Deeply sampled and featuring two microphone perspectives. the character of the instrument works well for both solo and ensemble applications, including film, classical, children's, and pop music. With over 1800 samples, the 30-key natural range of the instrument has been chromatically sampled with up to 10 velocity layers and 3 round-robins. For your convenience, we have extended both the treble and bass range slightly beyond its natural range. You can expect a clear, bell-like treble register, with a gently-tapered, natural bass register. An additional 50 instrument sound effects and 25 instrument presets are included, designed by Emmy Award-winning composer, Garth Neustadter. Designed for the full version of Kontakt 4 or 5 (Download Only). Click here to view the Full Product Manual. 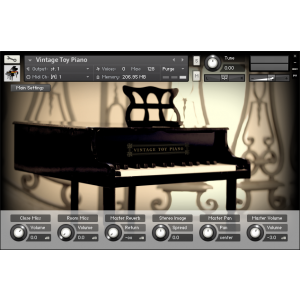 Kontakt Version 4.2.3+ or 5. 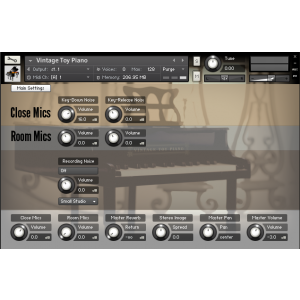 The free version of Kontakt is not supported, but will work in limited 30-minute demo mode. Ability to host 128 voices within Kontakt. Video demos of this product are not currently available. Please view the audio demos above.